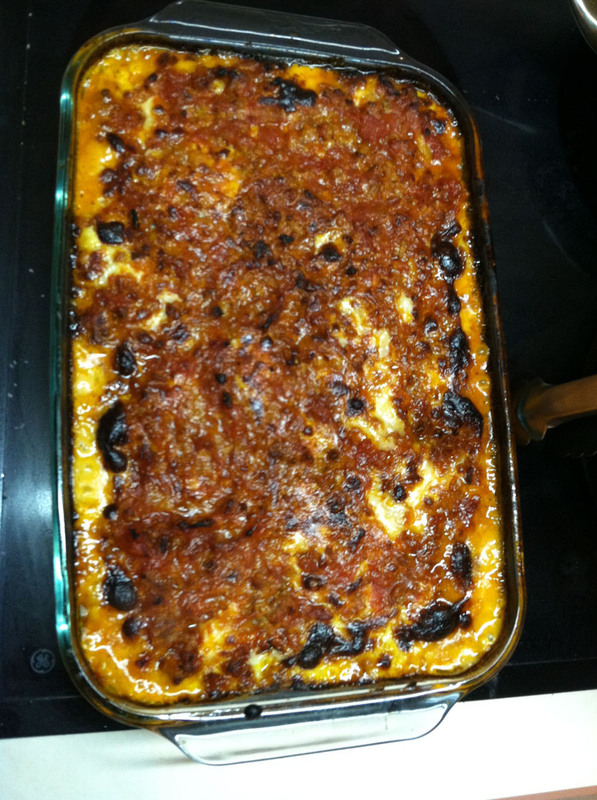 Last Week’s Menu: Lasagna, Mac And Cheese & More! In an effort to not only catalog previously attempted recipes, but also give a few hints, tips and anecdotes, here’s last week’s menu revisited! I’m pretty sure I’m batting 1000 when it comes to recipes form Damn Delicious. 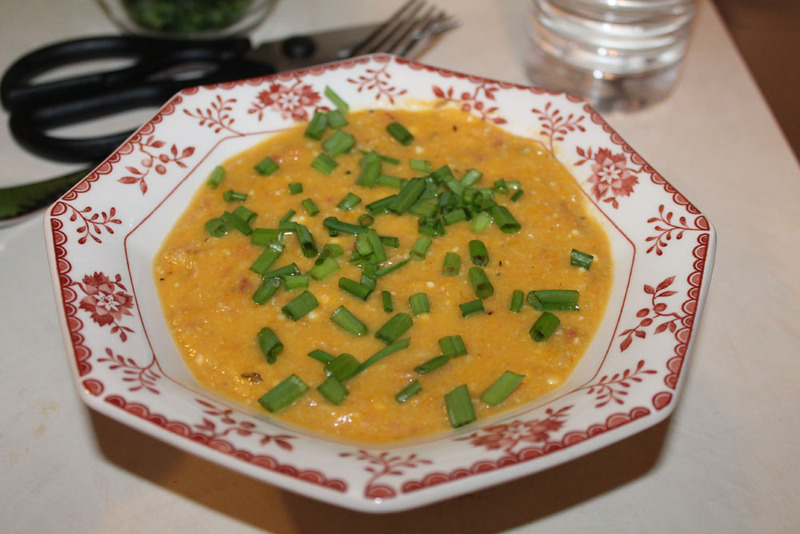 The streak continues with this one for a butternut squash and bacon soup that I altered just a bit. For one thing, I didn’t have red pepper because my kiddo loves them. For another, I just split a package of bacon between the first and second parts instead of the four slices each. But, the major change I made was swapping out the goat cheese in the original for a tub of blue cheese which my wife loves (as opposed to goat stuff, which she loathes). Aside from that, I followed the instructions and wound up with a delightful pot of soup that I just threw all of the cheese into so it mixed up. The results might have been a touch salty for some (that’s what I get for using a whole order of bacon, I guess), but it all came together as this wonderfully gooey dish that even my kid loved, which is a coup in and of itself. I’ve tried a variety of different lasagna recipes over the years, but I keep going back to this one from the Neelys (or formerly the Neelys, I guess). I don’t mess with this one aside from maybe going a little heavier on the cheese than recommended. I also don’t use pre-shredded cheese, but instead throw the hard stuff into a food processor and chopping up the mozzarella with a knife. I’m sure a lot of people prefer the more traditional ricotta to the cottage cheese from this recipe, but I love that extra bit of tang playing with the tomatoes and smothered in cheese. Verdict: I keep coming back for more. 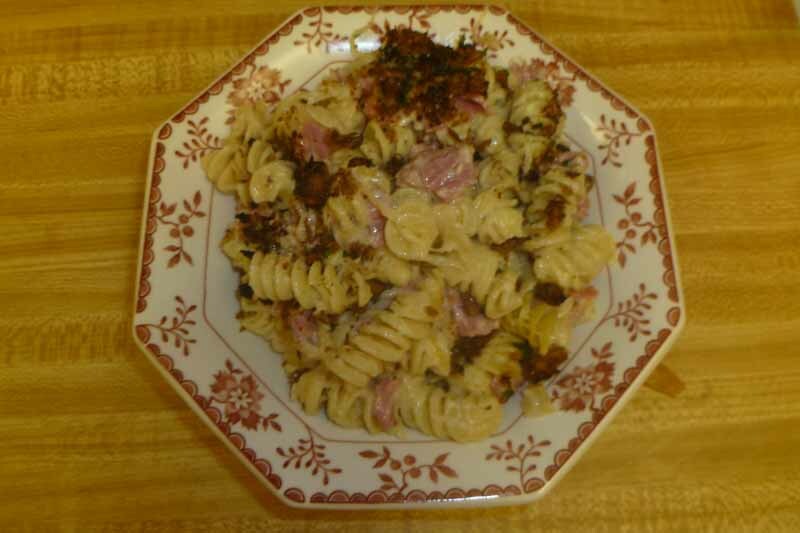 Another recipe repeat, I continue to love this variation on the traditional macaroni and cheese template, specifically because I’m a big fan of Reubens (even though I can never spell them correctly on the first try). This time around, I skipped the rye bread croutons and just cooked up some panko in a little olive oil, parsley and paprika. I would have tossed in a few caraway seeds to get that familiar rye flavor, but I dropped a jar of them on the floor the week prior and haven’t needed to replace them yet. Once again, I went a little overboard with the cheese. I used a few cheddar cheese ends that my mother-in-law passed us after Christmas, a solid block of Swiss and a smaller rectangle of Gruyere. Altogether, this makes for a tangy, transmogrification of a sandwich I love into a dish I love even more even though I completely forgot the sauerkraut this time around. I actually served this on New Year’s Even along with some asparagus I cooked in the oven. There was plenty for four adults and a pre-schooler plus leftovers. Originally, I thought my folks would either stay over New Year’s Eve night or come back over in the morning for breakfast. I thought this before actually talking to them about it, so it wasn’t the best laid plan. I only mention that because this French toast casserole is a much bigger dish than my wife, daughter and I can handle. I also hit a few bumps along the way with this one. I used a high sided vessel to cook in the oven because my 9x13s were occupied with lasagna and mac & cheese. That added nearly 20 minutes to my cook time, which was a bummer because we were hungry. However, even with the hiccups, this was a solid, sweet breakfast that WOULD be great for a group of people. 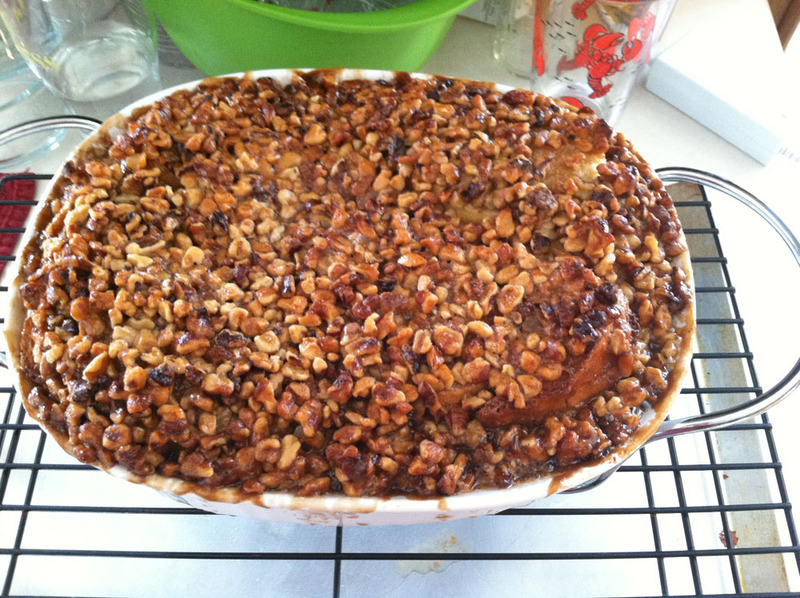 It gets extra points for being something you make ahead of time. I think next time I would add some actual syrup into the mix to make it just a bit sweeter. But, it didn’t work out super-well for me this time around. Verdict: Maybe I’ll come back. I intended to make a rib-based sauce in the crock pot on Sunday, but had a bit of a problem with the device (operator error was to blame, thankfully and unfortunately). 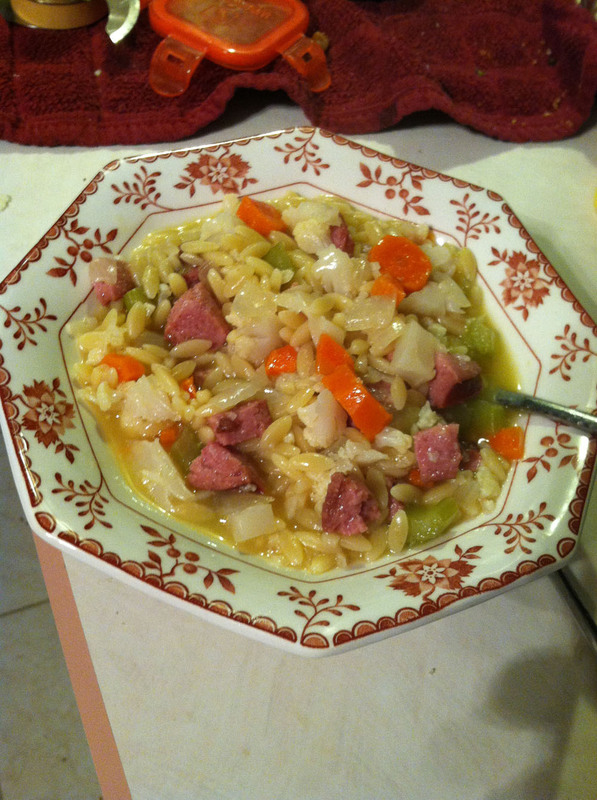 So, with that out the window — almost literally because I was so mad — I had to improvise a kielbasa soup that turned out surprisingly well. In fact, it was so good, I’m going to give it its own post later this week, so stay tuned! Verdict: TBD (not really, it was awesome and I’m definitely trying again soon).